As collector car prices have increased over the past few years many of us have been priced out of certain collector cars. However, there are still some interesting cars available for under $50,000 USD that may be fun to own and drive or show or race or whatever the plan. I have written about some of my favorite collector cars in the under $50k USD price range. This series continues with the DeLorean DMC-12. 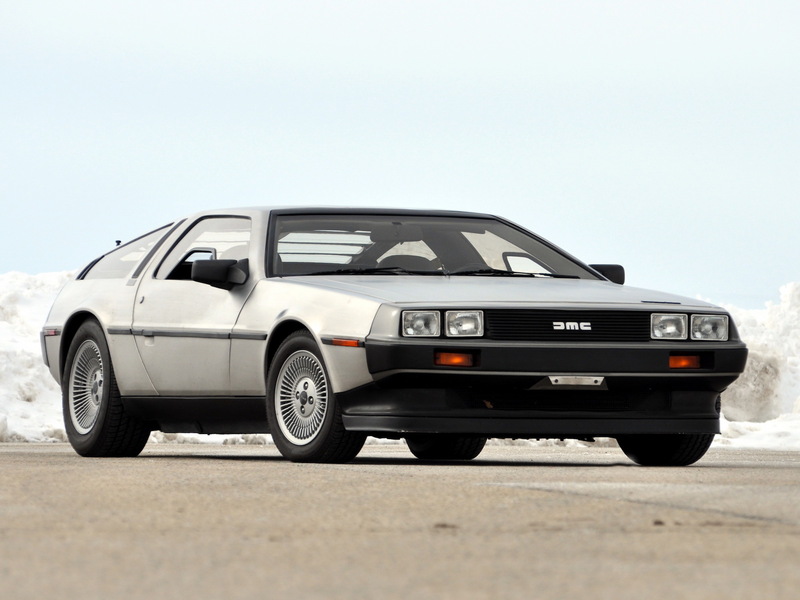 The DeLorean DMC-12 was introduced in 1981 and was eagerly anticipated by car lovers. It was created by its namesake John DeLorean, engineering contributions were made by Lotus, and it was styled by Giorgetto Giugiaro of ItalDesign. It has a brushed stainless steel, unpainted body (three cars were plated in 24-carat gold by the factory and one was done by an owner – read his story here). It has a rear-mounted engine, the Peugeot-Renault-Volvo V6 that produced 130 hp and a choice of manual or automatic transmission. The gullwing doors added an extra style attraction. The company went bankrupt in 1982 (although some cars were sold in 1983). In an attempt to save the company John DeLorean became involved in an FBI cocaine bust which was the end of his company. The DeLorean DMC-12 has the elegant styling we expect from Giorgetto Giugiaro even though it does not have the performance we would love. It is still a popular and desirable collector car. Number made: 8,583 from 1981 through 1983. Hagerty Price Guide value for a condition 2 example: $36,000. Sports Car Market Pocket Price Guide median price: $29,700. The DeLorean became famous as the time machine in the very popular Back to the Future movies with Michael J. Fox. Get My Car Quest by email – click here. The under $50,000 USD collector car series continues with the DeLorean DMC-12. Always was a cool car to sit in as it felt good! Too bad the car was a dog with 0-60 in 10.5 seconds.. There is a fellow in Texas, who allegedly bought all the NOS parts and dies remaining, and has the approval to manufacture the continuation series of the DMC-12. He had been doing full restorations of the model prior to this. Glenn in the Bronx, NY. I believe John Delorian was acquitted because his lawyer proved that it was entrapment but it was too late to save the company. Mike Clarke on The Lost Iso Grifo No. 223 Is Found!